Teaching your native language (English, Dutch, Chinese, Spanish, French or any other) is one of the easiest ways to become self-employed as an expat. A smart idea is to choose a specific niche, such as teaching your language for business, personal tutoring, academic tutoring, etc. A good way to start this business is to network with existing language schools; they may offer you a contract job to start with. However, keep in mind that teaching your native language in a foreign country would most likely require a recognized certification such as TOEFL or TESOL. If you can speak both your native language and that of your new country, you can make a lot of money working as a translator. You will find individual clients who have translation assignments to handle; and you will find businesses that need a translator to help them reach out to foreign prospects. If you have an established business in your homeland, you can consider establishing good import and export links with your new country. You can import the products offered by your business into your new country if they are in huge demand. However, bear in mind that the import or export business is a tough one. So, you should conduct thorough market analysis before venturing into it. Location is no longer a barrier to buying and selling, thanks to the internet. Many people now prefer to buy products online due to the convenience and security this option offers. You can make a lot of money by setting up your own e-commerce store and offer products for sale. You can start with a narrow range of products and then expand from there. Sourcing the products is now easier than ever, as you can buy from suppliers in Asia and sell to customers in Europe or America; all from the comfort of your room. If you have some office administration or secretarial experience, then you should consider the booming virtual assistance industry. Many individuals and small businesses hire virtual assistants for a wide range of tasks such as data entry, document preparation, event planning, etc. This saves them the cost of hiring an in-house employee. One good thing about virtual assistance is that the work is remote, and you can do it from the comfort of your room. If you are a skilled photographer, you can make a lot of money from serving corporate clients, taking shots at weddings and other events, and taking shots of wildlife or travel. You can consider the growing micro-stock model if you are a prolific snapper. Also, you can teach others how to become a good photographer; if you are more of a people person. Most foreigners adopt the option of running restaurants, cafes, and takeaways. This is often influenced by the cuisine for their homeland, and these outlets can attract hungry locals as well as other expats. Knowing what offers would sell in a place requires you to have spent some time studying the area and its people. So, keep this in mind if you think this business idea is for you. Due to their native language ability, expats are often hired as tour guides. A smart way to take this a step further is to offer personalized tours to visitors from your homeland. Before taking a plunge, don’t forget to check if some licensing is required. If you have solid counseling qualification and skills and have had a successful career as a professional doctor, accountant, attorney, etc; then you can make extra money by starting a coaching business. Many people would pay you to give them professional advice that will help their career, businesses, and personal lives. If you have skills such as web design, writing, SEO, graphics design, and so on, you can make money by offering your services to individuals and businesses. Many small businesses now prefer the cheaper option of hiring freelance contractors to employing in-house staff. Finally, A Way for Expat wives to make Money from Home While Living overseas and moving From One Location to Another! Travelling to new locations all the time sounds and seems exciting and thrilling. But you and I know that life as an expatriate wife can get boring and lonely, especially if you don’t have a job. Once you settle, you may feel that you want something to do with your time and earn extra income to have that sense of purpose. If you stay in one place long enough to find a job, soon it is time to relocate and you have to leave your life behind and start over. But believe me, being an expat wife is a privilege. Think of the many people stuck in the same place every year who would like to be in your place and have the opportunities to travel widely. Instead of suffering, you can enjoy this life…even benefit from it by finding a profitable way to utilize your travel experience and the contacts you get in every country. My guide will show you how to make money from home and give you a shortcut to do it. I am personally going to coach you to success. This guide is instantly downloadable and contains detailed yet easy instructions to follow. As you can see, this is the most comprehensive guide on Home Business for Expatriate Wives Living Overseas you can find anywhere. 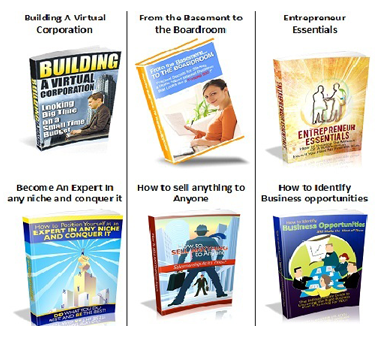 It is a complete start up and success guide and is the only guide you will need to succeed. Unlike general guides, Building a Successful Home Business is designed for you, an expat wife or foreigner living overseas. My guide provides the best niche markets for you. Every word in my guide is relevant and helpful to you. I am offering you my complete Home Business for Expat Wives Guide for only $19.97. You get instant access. This is a digital download that you access immediately once you pay. This means you can start right now. It also means you can access my guide no matter where you are right now.